As new Green Acres-assisted local and nonprofit projects are completed and featured on our site, previously appearing projects will be available through this archive. 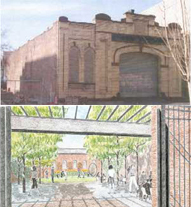 Using development grant and loan funding from Green Acres in 2003, the City of Hoboken transformed an historic building, once used by the City Water Department as a garage and storage facility, into Jackson Street Park. The exterior walls and brick and brownstone facade of the century-old building were retained as part of the park design, which accommodates active and passive community activities. 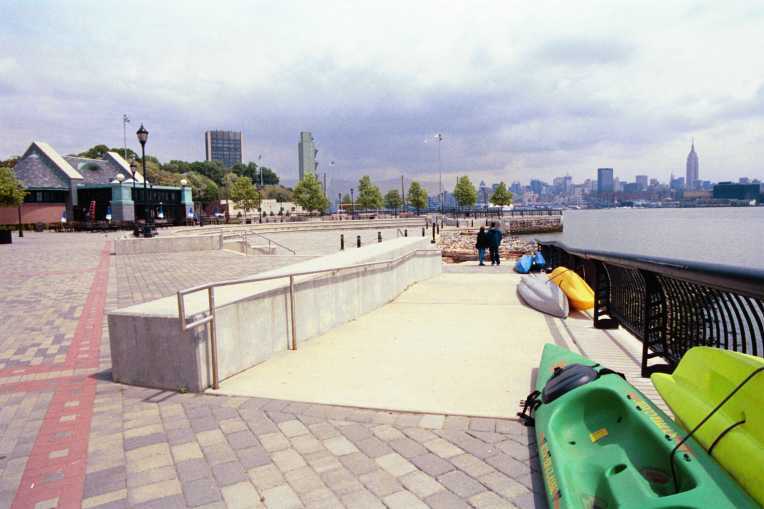 Frank Sinatra Park (formerly known as North Park) in Hoboken City is just one of the many "pearls" on the string making up the Hudson River Walkway, a public promenade and parks along the Hudson River from the George Washington Bridge to the Bayonne Bridge. Much of Hoboken's waterfront was historically used for shipping, but as that industry declined, opportunities to reclaim public access to the water emerged. With Green Acres development funding, the paved plaza, promenade, concession building, kayak launch, combination soccer field/ ice skating rink are fine additions to the park's spectacular views of the Manhattan skyline and Hudson River. On November 16th, 2002, the 160-acre MacGregor Preserve was dedicated as new open space in Chester Township, Morris County. The Preserve is contiguous with the Township's Tiger Brook Park and was preserved through a partnership of the Morris County Open Space & Farmland Preservation Trust, Chester Township and the Green Acres Program. The preserve is named for the former owners to honor the MacGregor family's dedication to the land, ensuring a save haven for wildlife and people. On January 31, 2002, the Green Acres Program, the County of Bergen, and the Trust for Public Land partnered to purchase and permanently protect the 750-acre Camp Glen Gray in Mahwah Township, Bergen County. The camp is one of the nation's oldest Boy Scout camps. The acquisition filled a critical gap in an extensive greenway comprised of county- and state-owned lands in the Ramapo Mountains. On September 28th, 2001, the Passaic River Coalition closed on a long sought after property in Ringwood Borough, Passaic County, known as the Tory Tract. The acquisition, a collaborative effort using funds from Green Acres Non-Profit Program, The Passaic County Open Space Trust Fund, Victoria Foundation, and the New York-New Jersey Trail Conference. comprises over 300 acres of woodlands in the Wyanokie Highlands. In addition to its natural significance and prominent location next to Norvin Green State Park, the property contains caves said to have been used as hiding places by American Revolutionaries.